← Top 10 skin care tips for Monsoons. Green tea is known as energy drink in several parts of world. As compared to black tea it is rich in antioxidants anticarcenogenic compounds and so many nutrients .These nutrients and antioxidants help to loose belly fat and also helps to slow down the skin ageing hence green tea is widely known as health beverage. There are some other health benefits of green tea listed below. 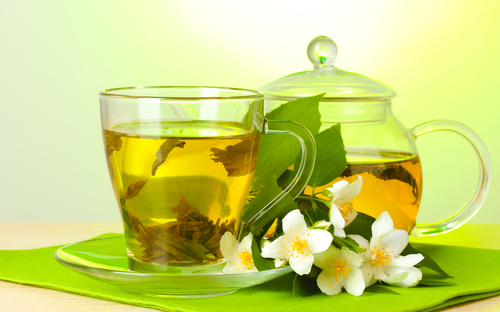 Daily consumption of green tea speeds up the metabolism and helps to achieve slim tummy. It helps to boost immune system. It helps to regulates the blood sugar levels. Green tea helps to maintain the cholesterol levels in blood. A chemical antioxidant found in green tea helps to prevent tooth deacy, bad breath and other dental problems. Green tea is also known to kill cancerous cells. Theanines(amino acid) in green tea helps to reduce symptoms of depression and anxiety. It prevent wrinkles and ageing signs. Anti-inflammatory property of green tea makes it good for several stomach issues like colitis. Good for liver and lungs health. This entry was posted in Health and tagged energy drink, glowing skin, green tea, Home Remedies, skin care, Tea, weight loss. Bookmark the permalink. Is it okay to add sugar in your green tea? Yes, you can add sugar and lemon juice for flavour. Lemon juice helped absorption of antioxidants. Green tea is the bomb! I love making it at home. I also have some in matcha powder form so I can make yummy and healthy baked goods and smoothies!